It has been an amazing and BUSY week! Let’s go! 1. This is a scheduled post as I am en route to Baltimore to be a bridesmaid in my friend Abbey’s wedding. My BFF 4 Eva since middle school. Most of our years as friends pre-college consisted of playing her brother’s video games and Wal-Mart tag. Sad but true, yay for central PA! 2. 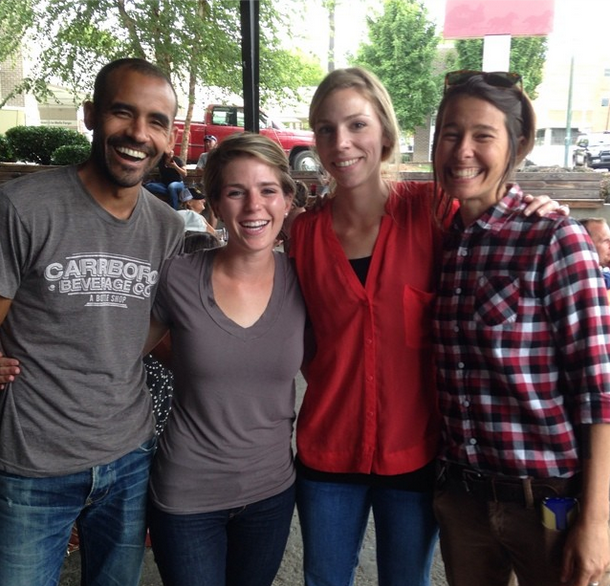 Another one of my oldest friends made a pit stop in Asheville this week on her cross country journey. Carly and her husband Sean are moving to LA from NC and I am so excited for them! I am so glad I got to hang out with them one last time before they move to the West Coast. And their dog Hope and Mozey loved each other, it was super adorable. 3. This is my current situation as I type this post. 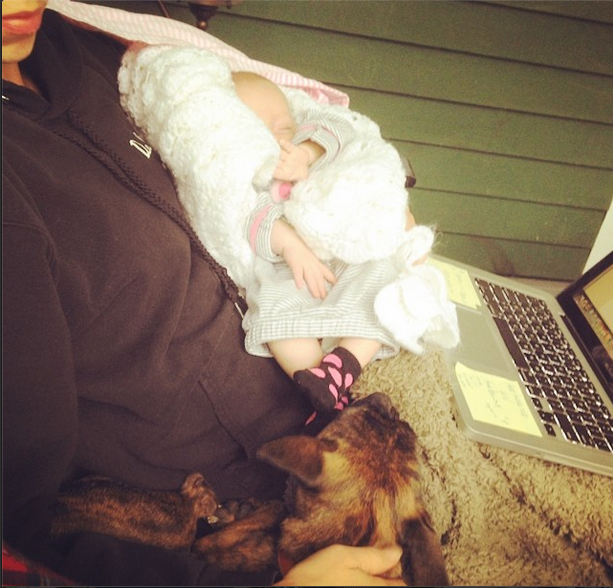 It’s not easy to hold a baby and a dog while typing, but it’s well worth it. My niece is the cutest thing on the planet. I am not biased either, this is a real, hard fact. 4. 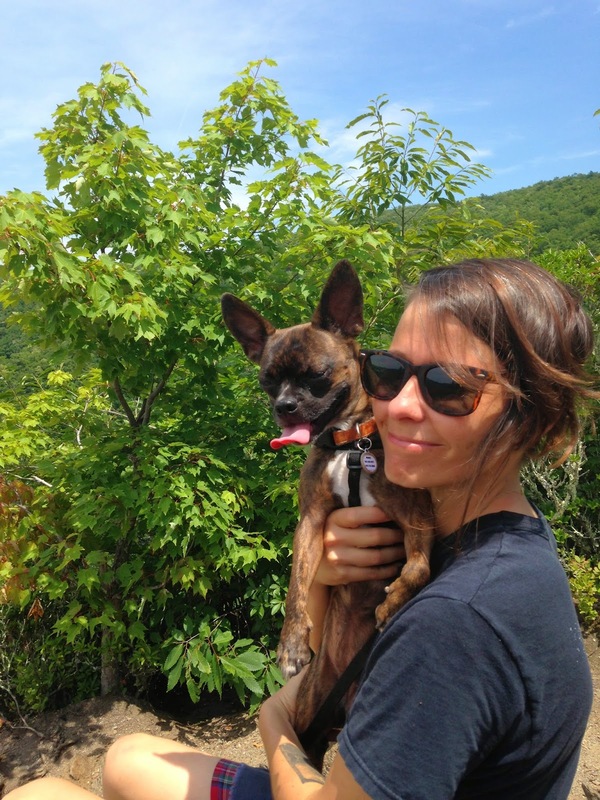 We finally carved out a little time for a hike this week. It was so gorgeous and just what I needed: exercise + family time + nature = perfection. 5. I commuted to work this week from Montreat as my family is currently on vacation there! 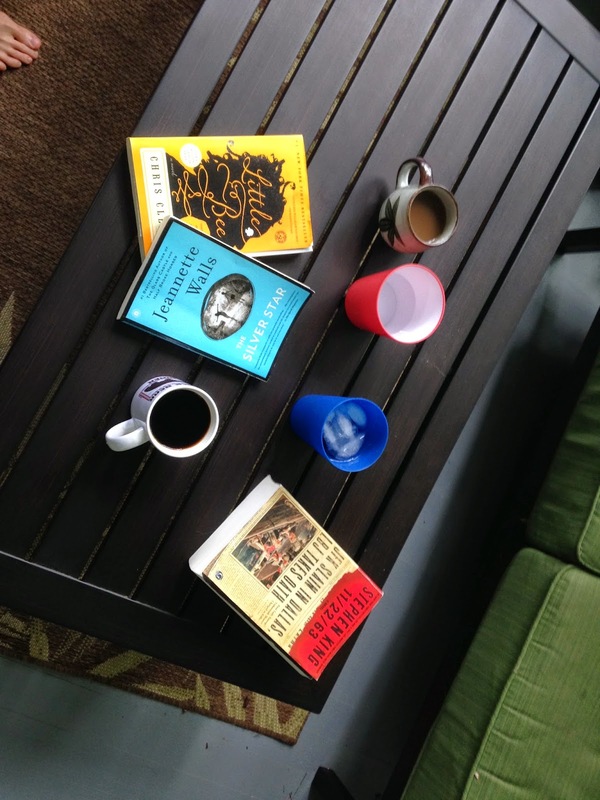 Montreat really lends itself to book reading and coffee drinking. That and a porch is, in my opinion, an unbeatable combination. Hope y’all had a wonderful week! Ha! See, it is a fact! I need more book suggestions!